If you are ordering one of our large wood/tree slices for use as a centerpiece, guest book or other wedding, event or party decoration and you also wish to have it personalized with an image, graphic or other wording, please add this listing to your cart to purchase the upgraded service of "Laser Engraving/Personalization". Photos shown are just a few of the pieces we have recently completed. If you have another idea, please contact us by convo for a customized quote. 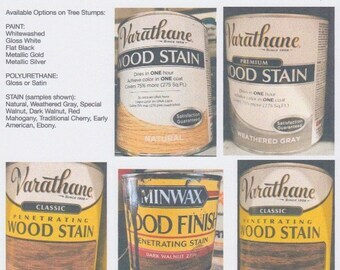 You may also provide your own file for engraving - it must be a DXF. A proof (photo) showing the font and style of your message will be sent prior to engraving, if you wish. PLEASE, leave your cell number, so I can text it to you. It makes the process faster to use a text. If you happened to arrive at this listing and are looking for a large wood slice, click here to return to my shop home and you will see all of the various sizes that we offer, up to 25" diameters, along the left side of the page under "sections". 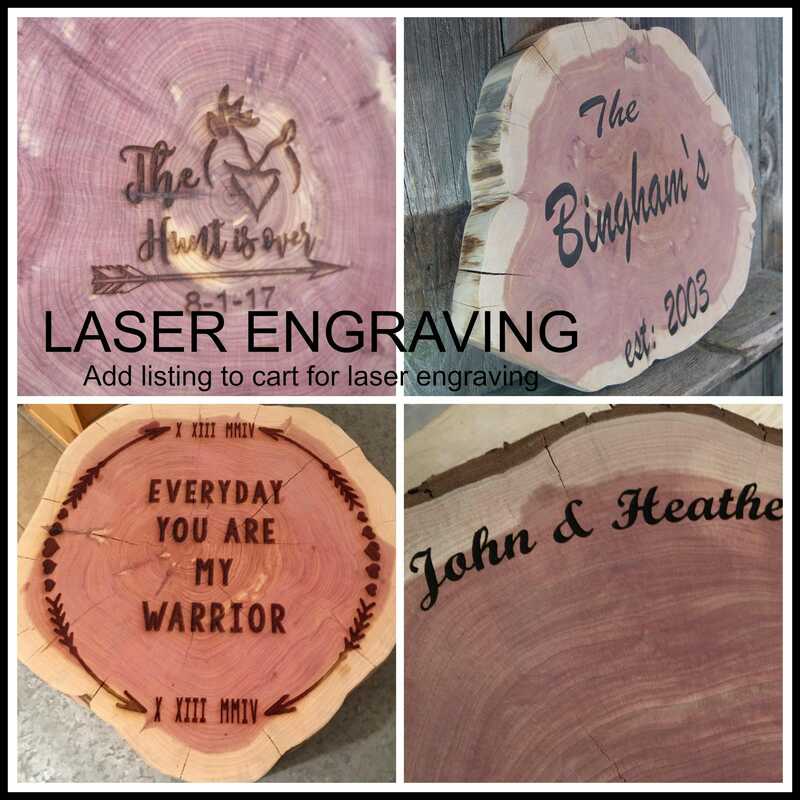 There is no charge for shipping on this listing, but you must also have purchased a wood slice or guest book/marker holder, etc for us to engrave onto. Thanks.